Gail helped Myla unload her table and boxes in front of Antigone Books. Then she left. Myla set up the table on the sidewalk near the far end of the bookstore picture window. She smoothed a blue oilcloth with red and yellow flowers on it over the table. Pietra rolled out a comfy chair from the bookstore for Myla. “Good morning, Myla,” Pietra said. “We shall soon see,” Myla said. She put one of the boxes on the chair, took off the top, and began pulling out items and arranging them on the table. Near one corner of the table, she placed a broken kitchen tile with a peach at its center. Next to it, she put a red piece of cloth, then a small white feather, a half blue marble, a Mariners baseball ticket, June 5, 2001 (Section: 113, Row: H), an empty orange plastic lighter, a red brick, a yellow t-shirt with the word “Who?” on it, several glass bottles without the labels, a smashed beer can, and a few other odds and ends. Closer to her, she laid out the items she had found today. When the first box was empty, she opened the second box and took out the old pieces she had not sold yet but was not quite ready to throw away. In the middle of it all, she placed a small wooden sign with the words Church of the Old Mermaids and Myla Alvarez, Novice painted on it in yellow. 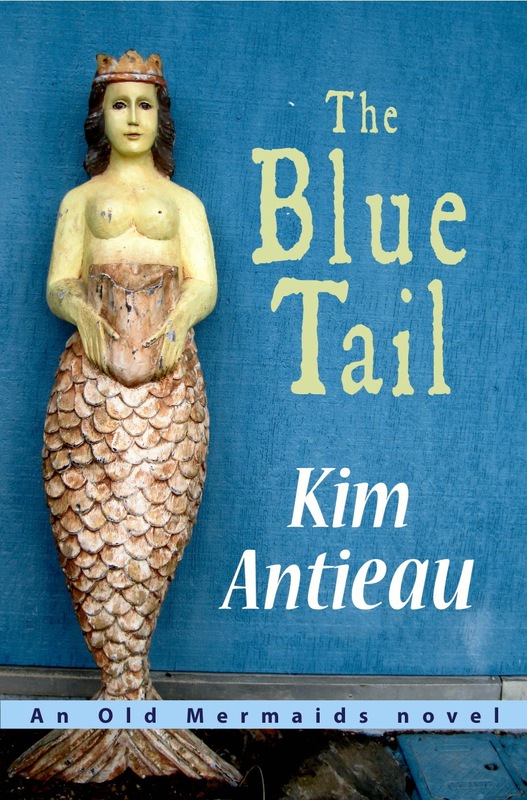 On the far side of the table, she set an old cigar box with an orange-tailed mermaid painted on the lid. The mermaid held a sign over her breasts that read: donations. Myla put the empty boxes under the table, then sat on the chair. Myla picked up a slender empty clear bottle. “Why?” Pietra asked. By now, two women and a man had walked up to the table and were listening. Myla held the bottle out to Pietra, and she took it. “I’ll give you ten dollars for the bottle,” the man said. The other woman elbowed him and smiled at Myla. “It’s his first time,” she said. Pietra lifted the top of the cigar box and dropped in the money. “Are you a nonprofit?” Bob asked. Bob looked down at the ticket. He stared at it for a moment and then looked away. The woman picked up an amber glass bottle. “You have a good eye, Dolores,” Myla said, remembering the woman’s name as it came out of her mouth. “The bottle you hold is one of those bottles. Of course, it was lost for a long while. Sister Bridget Mermaid put the one bottle on the kitchen window sill, and she hid this one in the pantry, way in the back so that no one would find it. She figured it would be there should they need it one day. Well, as it happened, Sister Ruby Rosarita Mermaid decided to make a pot of chili. She got anasazi and pinto beans from the Old Man who lived with the Old Woman in the mountains. Sister Ruby Rosarita Mermaid talked to the beans all the while she cooked. She always talked to the food. ‘Beans, beans, we’re Mermaid Queens. Make this stew a healing brew.’ She stirred in various chiles from the garden, along with fresh tomatoes, and onions and garlic. She added a pinch of this and a pinch of that. Then she tasted it. It didn’t quite taste the way she wanted it to. Didn’t quite have the spark she wanted. So you can guess what happened. She went into the pantry and looked around for something special to put in the stew. She found that bottle you’re holding. She thought it was filled with beer. Who can blame her? It looks like a beer bottle. She smelled it, and it didn’t smell bad. It didn’t exactly smell like beer, but she shrugged and dumped the sea water into the pot of chili. “There are plenty of stories about what happened next. Some say the chili began boiling and bubbling like a great witch’s brew. Others said it began thundering and lightning outside. That seems a bit silly to me, doesn’t it to you? Why would it suddenly start thundering and lightning because Sister Ruby Rosarita Mermaid poured a little Old Sea water into the chili? Then again, why wouldn’t it? One person even claims the earth trembled. Someone else said that the birds on the kitchen tiles flew out of the tiles to get nearer to the pot of chili because everyone agrees that the chili gave off an aroma that woman or beast could detect for miles. And a funny thing happened. All sorts of animals and people began showing up at the Old Mermaid Sanctuary. And they were all hungry! The Old Mermaids began feeding everyone chili. Not the animals, of course, since the Old Mermaids knew it wasn’t good for wild animals to eat people food. The wild animals didn’t seem to mind. They wandered around for a while, watching what was going on, then they left and began eating each other, as is Nature’s way. “The interesting thing is, the chili did not run out. Not until every last person had a bowl, including the Old Mermaids. After everyone had gone on their way, the Old Mermaids sat in the kitchen eating the chili and looking out at their garden. All of them wanted to know what Sister Ruby Rosarita Mermaid had done to make the chili taste so good. 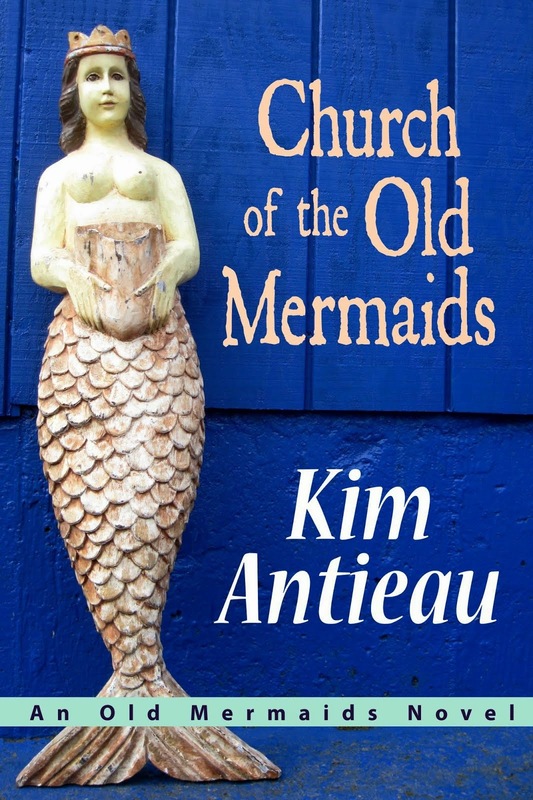 “’It was that old bottle of beer in the pantry,’ Sister Ruby Rosarita Mermaid said. ‘That really made it perfecto.’ She put her fingers together and kissed them. Sister Bridget Mermaid got up and went to the pantry and looked for the bottle of sea water. As we know, it was not there. She asked Sister Ruby Rosarita Mermaid to show her the bottle of beer. ‘But it’s empty,’ Sister Ruby Rosarita Mermaid told her. Sister Bridget Mermaid insisted. So Sister Ruby Rosarita Mermaid went to her bedroom and got the bottle. You see, she had dropped several dried sprigs of lavender into it and then set it on the table next to her bed. The small group of people listening laughed. “Unless they went to the ocean,” the other woman said. “So what did Mother Stupendous Mermaid say?” Dolores asked. “For the longest time she didn’t say anything,” Myla said. She went down to the wash--the wash where I found all of these treasures--and she listened. She heard the wind through the bushes and trees. She heard the woodpeckers tapping away on the saguaros. She heard the beating of her heart. She heard the rivers of blood within her pulsing, washing through her body. As the sun went down, she thought she could hear it sizzling in the west, as though this giant ball of heat was dropping into a vast ocean. She heard the quail and the owls and the coyotes at night. She listened for many days. “Then one morning she took the bottle with her out to the wash. This time she put the bottle--the one you are holding--up to her ear and listened. She heard the Old Sea, or something which sounded like it. She went back to the Old Mermaids and said that Sister Sophia Mermaid was correct: a container helped. Just as the chili pot contained the chili. ‘Just as our bodies are containers of the sea we lost,’ Mother Star Stupendous Mermaid said. ‘In our grief over the loss of the sea, we sometimes forget that our bodies are containers of that sea. Our bodies are home.’ The Old Mermaids agreed that this was a good thing to remember. By the way, everyone had pretty much forgotten about Sister Ruby Rosarita Mermaid dumping out the last of the sea water into a pot of chili. The Old Mermaids ate dinner, then jumped in the pool, and life went on as usual. That was the way they settled their differences. Dolores and Bob moved away. Others came up to the table. Most of them greeted Myla by name. Red, one of her regulars who had long bushy red hair, picked up the broken sheep staff. “Now this is different,” Red said. “That’s exactly what I need!” Red said. “I’m always poking myself with things I’ve brought in from the desert.” She dropped some dollar bills into the cigar box. Then she opened up a captain’s chair she had brought with her and moved out of the flow of people traffic. Dolores brought Myla a limonada from Maya Quetzal, the Guatemalan restaurant a couple of doors down. They made it especially for Myla, no sugar, touch of honey. Fresh lemons. Her lips puckered when she drank it. James walked up to the table with his son Trevor. They had been coming to the Church of the Old Mermaids since Trevor was a small boy. Today they each carried a folded captain’s chair. As usual, Trevor held a lined record book in one hand. Across the cover in bold lettering were the words: TREVOR’S JOURNAL. PRIVATE. “Just one of your smiles,” Trevor said. “How is everything at the sanctuary?” James asked. “We’re doing great,” James said. “What do you need today?” Myla asked. “I’d like a present for my girlfriend,” Trevor said. His face reddened when his father glanced at him. “What’s she like?” Myla asked. “What would she like or what is she like?” Trevor asked. “Sounds like a peach of a girl,” James said. Trevor looked over at him. James nodded toward the broken tile with the peach at the center of it. “This is a very special tile,” Myla said. “It comes directly from the kitchen of the house in the Old Mermaid Sanctuary. You’ve heard me talk about this kitchen. It was a very special place. This is where they did all their cooking, naturally, and oh could the Old Mermaids cook. 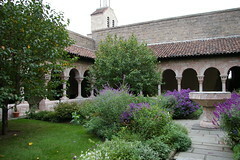 The kitchen was open to the outside, at least during the day time, so they could walk straight out to the walled garden. “When they were building the house, they wanted tile in their kitchen,” Myla said, “that goes without saying. The Old Mermaids were very creative, but none of them knew how to make tile. That’s a very solid, earthy art, and the Old Mermaids were still a bit watery then, so they hired a young man from town to come out to the sanctuary. Sister Magdelene Mermaid--they called her Sissy Maggie Mermaid--volunteered to work with the man once he got to the house. She thought artistic men were quite attractive, you see. Sissy Maggie Mermaid and the young man, Carlos, worked together for many days. Soon they were painting the tiles to go around the kitchen. They painted seashells and saguaros. Even a couple of mermaids. Carlos liked to paint birds. He told Sissy Maggie Mermaid that he liked painting birds because he felt as though he were flying when he painted. When he worked with the earth to actually create the tiles, he felt like a lizard. Lazy and warm and comfortable. It was a nice feeling. But when he painted, he flew! And he loved that feeling. So he painted birds. “Sissy Maggie Mermaid loved to listen to Carlos talk. And to be truthful, he worked without his shirt a great deal of the time; he was a young man, and he was nice to look at. Brown, sweaty. You know. Sissy Maggie Mermaid began painting peaches on the tiles. No other fruit. Just peaches. The sweaty man said, ‘You must really like peaches.’ ‘Indeed I do,’ she said. She had not known about peaches until the Old Sea dried up. One day someone brought a basket of peaches to the Old Mermaid Sanctuary. At first, Sissy Maggie Mermaid did not like the fuzz. She was supposed to eat this? They didn’t have fuzz in the sea. But then she put the peach up to her face and rubbed it across her skin. ‘Oh my,’ she whispered that first time. As she ran the peach along her cheek and over her mouth, she couldn’t resist taking a bite. All the other Old Mermaids did the same. They gasped as the juice went down their chins. And they laughed. It was the finest fruit they ever had. Since then they hardly ever ate any other fruit. If it was out of season, they waited. Old Mermaids are very patient, even when they are impatient. Sissy Maggie Mermaid explained all this to Carlos. As she talked she noticed he had a little peach fuzz on his cheeks. She wanted to rub her cheek against his, but she felt a bit awkward. After all, she was an Old Mermaid and he was a young tile maker. She wasn’t quite certain how that would work. “Like two halves of a single heart,” Trevor said. She paused. Trevor shook his head. Trevor reached into his pocket and pulled out some money. He slipped it into the cigar box. Myla laughed. James winked at her, and the father and son moved away to set up their chairs. And so the day went. At one point, Myla looked up and thought she saw David Thomas Crow for a split second. Then he was gone. She chuckled. Had she conjured up his lookalike because she had been thinking of him earlier? For lunch, Trevor brought Myla vegetal tacquitos from Maya Quetzal. Near the end of the day when most everyone had wandered away, Dolores’s husband Bob came up to the table. He put his index finger on the Mariners ticket. “Do you have a story about the ticket?” he asked. Dolores came and stood next to him. Bob smiled but kept looking at the baseball ticket. “They played in the wash, mostly,” she said. “They liked games. They’re a playful lot, the Old Mermaids. They liked baseball because it’s not a fast paced game. They couldn’t hurry anyway, especially when chasing the ball through the cactus, mesquite, and palo verde. The best player was Sister Faye Mermaid. You remember her. She knew more about plants, animals, and the ways to talk to the wind and the earth and the clouds and the sun than you could shake a stick at. I’ve never been sure what that expression means, but you get the idea. She knew a great deal. She was organized. She understood methodology. She was very focused. And that was exactly what made her a good baseball player. It wasn’t because her head was in the game, as they say. But her entire being was in the game. Whatever she was doing, she was there: mind, body, and soul. Or however you want to split it up. She was there. Once, a neighbor of the Old Mermaids stopped by to borrow a cup of sugar. This particular neighbor could get irritated if the sun was shining one day and the next day be irritated because it was finally raining. Sister Faye Mermaid irritated her most of all. Sister Faye Mermaid was the only one around on this particular day, so the Old Neighbor had to ask her for the sugar. “I’m looking forward to it,” he said. He and Dolores linked arms and walked away. Late in the afternoon when Myla decided it was time to leave, Trevor returned the chair to the bookstore while she began putting the few remaining items back into the boxes. She folded the oil cloth and slipped it into the side of one of the boxes. “You’re a trickster all right,” he said. “I don’t remember what you needed that first day,” she said. Myla nodded. Trevor came out of the store and stood with them. Myla put her arm around his waist as he stood next to her. “He put one of my baby teeth in there, too,” Trevor said. Myla nodded. They had shared this story before, and it was good to hear it again. Gail’s car pulled up to the curb. The back popped open. James carried the table to the car, and Trevor lifted the boxes into the back. Gail waved to them from inside the car. Myla thanked them. Trevor leaned over and kissed her check. Myla got into the car, she waved, and Gail pulled the car out into traffic. I thoroughly enjoyed chapter two and thank you for sharing it. I'm now thinking about the mermaid tears and the bottle of sea water. I'm flying to my husband's family in Florida on Friday. Since we'll be at the beach, I'll make my annual mermaid pilgrimage and this year I'll collect my own bottle of sea water to bring home. I love this idea as it will help me when I'm back in Tucson and am missing the beach. I do have a question. Will you be publishing a new 2008 calendar? I bought the 2007 version when I discovered it on your site and love it. Loved the new chapter. I've been weeping a lot lately because of family issues, but the tears do bring me back to myself. There are ancient tiny vessels called lacrimals created to hold tears. And baseball....I love baseball movies...my favorite "Field of Dreams"....happy dreaming, and happy tears,only! Thanks, Patricia! I'd never heard of those. A lacrimal vase. Love it. We all hold the Old Sea within us, that's for sure.